The mea culpa pledges that the company will learn from the incident and get to the very bottom of why it happened. 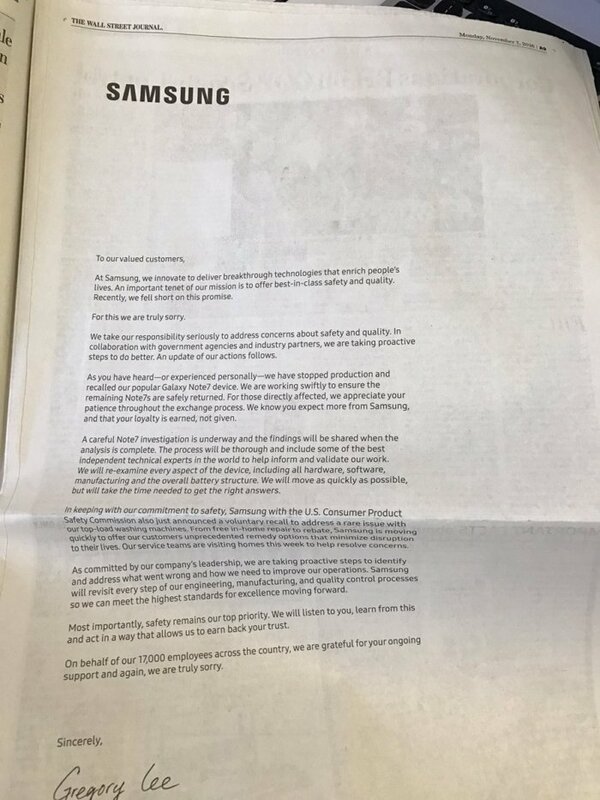 In an effort to show full contrition for the Note7 debacle, Samsung took out a full-page ad in three newspapers Tuesday to apologize. The ad appeared in The New York Times, The Wall Street Journal, and The Washington Post. The letter is attributed to Gregory Lee, the president and CEO of Samsung Electronics North America. Samsung is really sorry that its phones are blowing up. 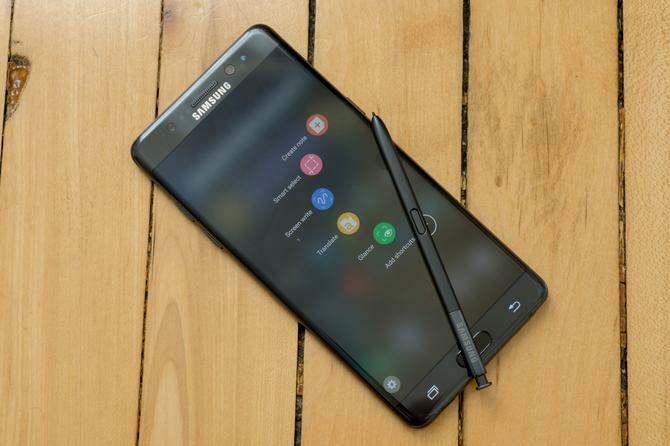 In October Samsung killed off the Note7 and asked all customers to return their device for reimbursement. The letter also references the recent recall of Samsung top-loading washing machines. With two major recalls in one year, Samsung clearly feels the need to try and win back consumer trust. Full-page ads are quite the revenue stream for the newspaper industry. Recently Slack took out a snarky full-page ad when Microsoft launched its competitor, Microsoft Teams. The story behind the story: Samsung is already looking ahead to the Galaxy S8, this week confirming that it will include an artificial intelligence powered digital assistant. It has us thinking that Samsung may double down on its previous strategy of pushing consumers into its own services and overpowering the phone with software choices. In the era where a Google-powered Pixel is on the shelf, it’s a tenuous strategy.